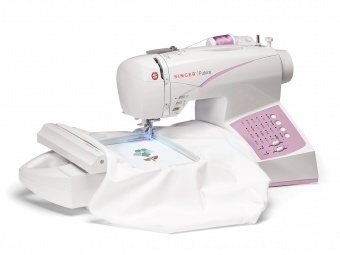 One of our second generation of the SINGER® FUTURA™ Sewing & Embroidery Machine. The SES 1000 model builds on the success of our first release, this machine takes embroidery to the next level. Ideal for both sewing and embroidery, this easy-to-use machine provides an array of convenient features.